Comments: This selection grows twice as wide as tall. It is a highly popular evergreen shrub in the upper part of the country. Most members of this genus cannot tolerate the hot humid conditions of the Lower south. 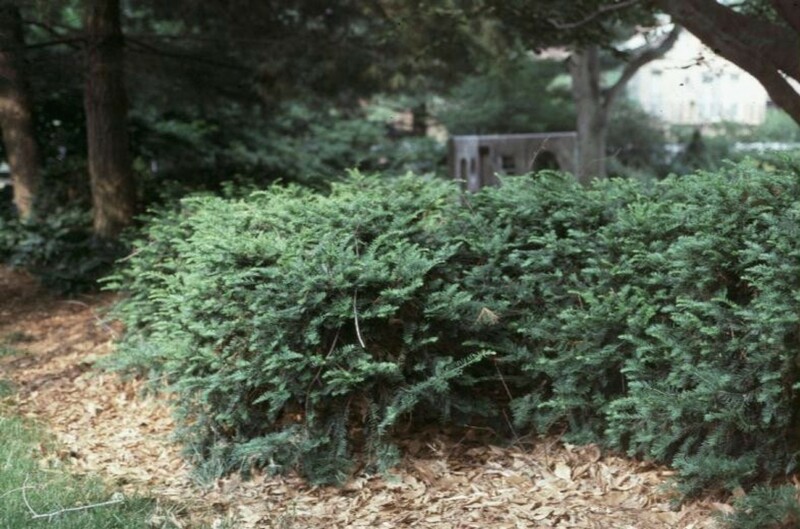 The primary feature of all taxus selections is the evergreen foliage. In very cold winters in exposed positions the foliage can turn a bronze color.